There are different ways of taking care of your body. It does not have to be grand gestures or a rich diet. Simple ways like taking a bit of your time in observing your daily activities and if they are functioning normally can already go a long way. There are even things that you just unconsciously, like smelling the food that you eat before consuming anything or asking for the ingredients to make sure you are not allergic to anything. These simple ways already is a sign that you care for your body. On a more sensitive note, some individuals do not like to talk about how they urinate of their stool’s appearance. But knowing these things are essential to raising awareness. More often than not, an average person does not take the time to glance at the color of their stool. So when they do and find an unusual color, panic usually arises. One example of which is experiencing an orange poop. When you get this poop with bright orange color, you do not have to visit the doctor right away. This phenomenon is typical, and your poop will eventually turn back to normal after some time. However, it is imperative to know that if this happens continuously, without any gap, an underlying condition may cause it and treatment may be necessary. Orange oil in your poop does not come too often and might be due to a lot of things. It is essential to know the possible causes of which so that we can treat it accordingly. Preserved foods and junk foods contribute to high cases of orange poops among individuals. This kind of foods that contains a lot of artificial ingredients, more specifically the color. These are commonly found in sodas and artificial juices as well. Orange foods do not necessarily mean only orange fruits and vegetables. It is true that the leading contributing factor of an orange stool is foods like pumpkins, carrot, and apricots just to name a few. But foods with yellow artificial coloring, fresh thyme, sweet potatoes and collard greens can also be sources of the change of coloration in your stool. 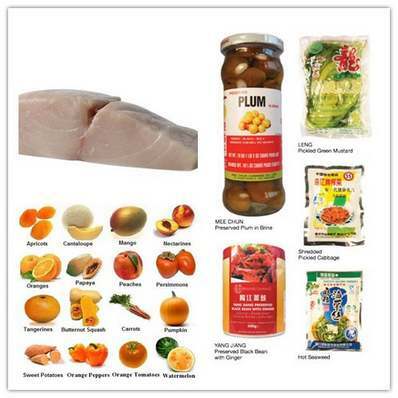 Fishes called Escolar contains an indigestible fat. When these fats make way inside your body, it will not be digested and will be released into the bowel causing the orange color. This a condition where the acid in the stomach rises to your esophagus. When your poop does not have a bile in it, change in color is inevitable, so if you are experiencing other symptoms like a sore throat, heartburn and chest pain just to name a few, it may be an indication of a Gastroesophageal reflux disease (GERD). As aforementioned, acid has a component in making your poop’s appearance yellow or the unnatural color. If your digestive system is behaving abnormally, there is a chance of the acid rising or not even produced at all. This situation will often cause an orange poop. If you experience diarrhea, vomiting, and nausea together with a change of color in your stool, it may be an indication that a parasite is causing it. There are times that supplements, more specifically the one that contains vitamin A and beta-carotene may cause these orange stools. This fact is equal to the same phenomena when we eat foods that constitute the same vitamins. One side effect of going through MRI, CAT or PET scans has an orange colored poop. If this is the cause, the change in color should be gone after a few days. These color change in your stool may be because of an underlying condition that must be treated. This is usually the case when the condition does not stop regardless of any precaution taken.During these cases, a doctor visit is recommended. Although what your poop is bright orange does not immediately equate to a threat in your body, it is still important the precautionary methods and treatment keep your mind at ease. Knowing these will also guide you on the proper next step. If you see any change in the color of your poop, try to think about the food that you have consumed for the day or the day before it. It may just be because you ate too much carrot or junk foods. Eating properly means not to eat too many artificial products and junk foods. Because not only would they give you an orange poop but can damage your health as well. This step will usually apply if you are experiencing other symptoms other than an orange poop. You might need to a stool analysis and blood tests among others. When in doubt, self-diagnosis would never help. 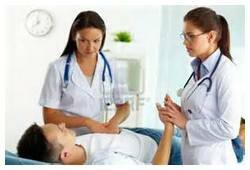 Seek professional help to be treated correctly. A trip to the doctor is needed for continuous orange poop. A person’s poop can say about the health situation of a person. It is best to understand what these color changes mean and what are the measures that you have to undergo to treat it.